WELCOME HOME to this BEAUTIFUL, IMPECCABLY KEPT 2/2 Master bedroom Townhouse with 2 YEAR NEW A/C! END UNIT with WATER VIEWS! Greeted at entrance is your Formal Dining Room offering recessed lighting, NEW chandelier, WOOD LAMINATE TILE FLOORING and Bright Beautiful Windows. Enter your Kitchen enhanced with GORGEOUS GRANITE COUNTER TOPS, Wood 42' Cabinets, RECESSED LIGHTING, Upgraded Hardware including Sink, Faucet, EXTENDED BREAKFAST BAR and even room for a dinette! Enjoy Beautiful PRIVATE VIEWS from your REAR COVERED LANAI with NO REAR NEIGHBORS, WATER VIEWS and endless SUNSETS! Upstairs is SPACIOUS offering a SPLIT DUAL MASTER SUITE FLOOR PLAN. Main Master is GENEROUSLY SIZED complimented with on-suite Bath, tub/shower wall tiled, linen closet and ADDITIONAL SPACIOUS CLOSET. WAKE UP OVERLOOKING THE WATER! Laundry Closet is conveniently located upstairs. Second Master offers ADORABLE Bath, Natural lighting and WALK-IN CLOSET! Security System, Maintenance FREE LIVING, Community Pool, LOW CDD (included in taxes), LOW HOA that includes Trash, WATER and exterior pest control. 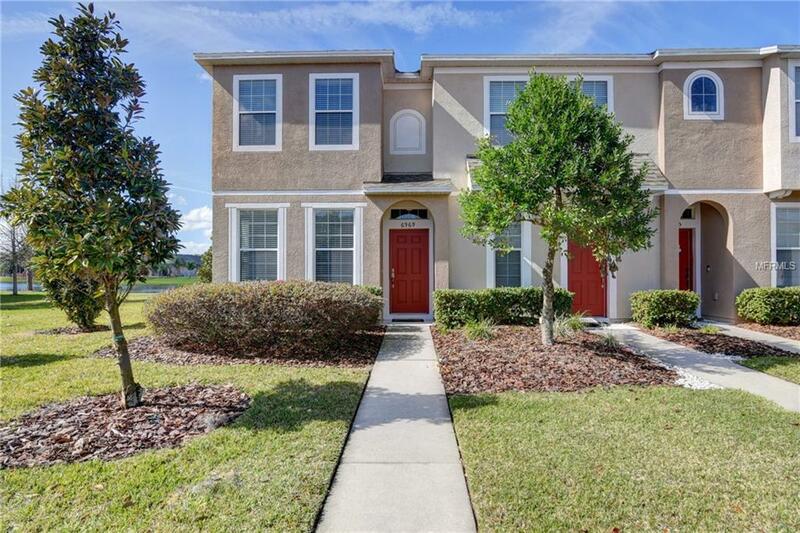 LOCATION IN NORTH RIVERVIEW IS HIGHLY DESIRED - easy access to I-75, Selmon Expy, MACDill AFP, Near by Community Boat Ramp, CLOSE TO SCHOOLS, NEW SHOPPING CENTERS, BRANDON MALL and SO MUCH MORE! Don't miss your opportunity to own this MOVE-IN READY gem and call it your HOME!